Malpaís is something of a perfect storm for surfing. Set between the Central Pacific and Guanacaste, it gets hit with big southern swells and offshore "Papagayo" winds. This combination ensures that the surfing is good and reliable throughout the entire year. It's also not chock-a-block full of surfers like other places (Jacó), so you'll spend more time riding the waves instead of waiting in the lineup. 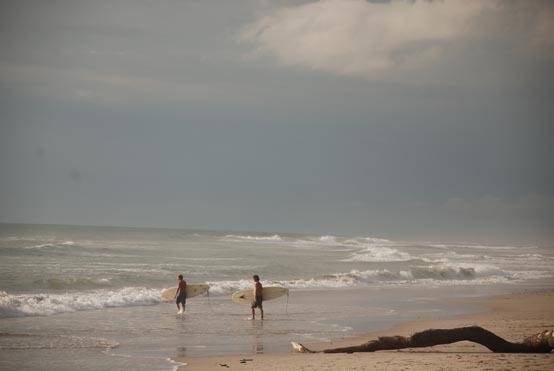 There are beach breaks and point breaks spread throughout the area, as well as left and right-handed options. 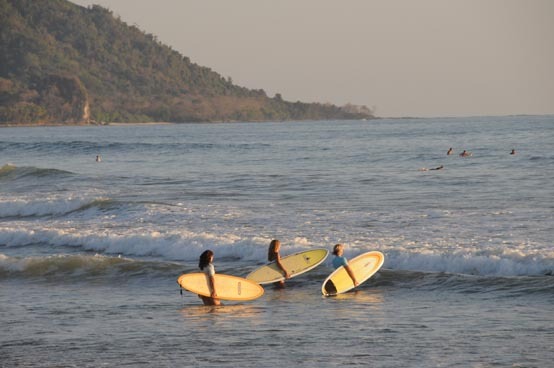 When locals talk about surfing Malpaís, they generally include the entire area between Cabo Blanco and Manzanillo. Below you'll find descriptions of some of the best places to shred. Separated by a slab of rock that's exposed during low tide, this spot breaks both left and right. The surfing is best when an overhead swell hits the left side and when the tide is going out. The rock formations help create good waves, but they can be dangerous too. 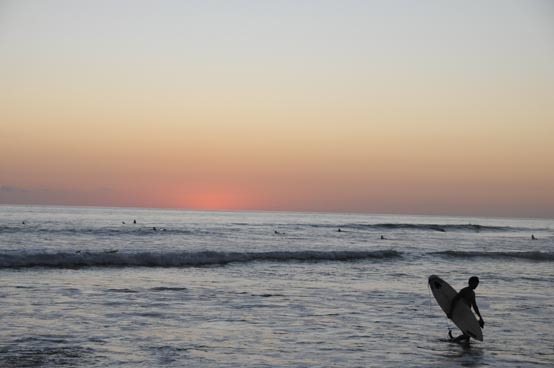 For this reason, Mar Azul is best suited for competent surfers. If you're at the crossroads leading into Malpaís, continue straight to the beach and you'll find peak surfing conditions directly in front of you. El Carmen has a long right wall and a shorter left break that crashes gradually onto a sloping sand bottom. Turn right at the crossroads and you're at Santa Teresa in 1.8 miles (3 km). Once you hit "Cabinas Santa Teresa", turn down to the beach. This area tends to pick up more swell than El Carmen and holds the shape of the wave better during low tide. This beach is just north of Santa Teresa. It's much less crowded and has waves that peak along the entire coastline. When the beach breaks get big, the reefs and points start to work amazingly well. 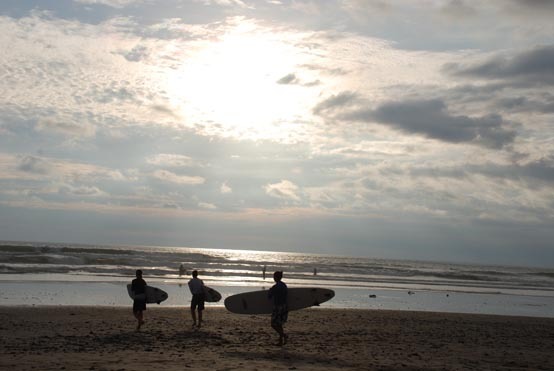 Playa Hermosa. Turn left at the crossroads and go 2.5 miles (4 km). Park where you can see the fishing boats and then walk 100 yards south along the rocks. Paddle out through the channel that's by the nearby hotel. The waves here are left-handed and have a fast take off that's followed by a long and workable wall. They get increasingly hollow the larger they become. Turn down to the beach at the Mar Azul restaurant, which is located between Los Suecos and the crossroads at Malpaís. There's a long left-hander here that wraps around the point and turns into a great hotdog wave as it moves through the inside. This does, however, require a lot of swell to work properly. Turn right at the crossroads and go 5 miles (8 km) to the small village of Manzanillo. There's an offshore reef at the north end of the beach, but the waves here tend to be somewhat fickle and require a good swell to really develop.